Here is a simple little project that is easy to do and super inexpensive. and I made these little markers for the food table. for the dessert table etc. want to hot glue the letters down. I also made this one for the shelf in my dining room. I want to re-use the letters for different occasions. Blayne Beachams favorite room contest!!! her that I just about fell off my chair! I have all of you to thank! You all left the sweetest comments and are way to good to me! what it means to me to have all you guys supporting me and my little old blog! hough I haven't met even half of you! Have a happy and safe fourth! Congrats Melaine, Your home is gorgeous! I always look for games at yard sales for use such as you did here. Congrats on your room win! You deserve it! Your home is beautiful! Have a great weekend! Would LOVE to see more of your 4th decorations! Congrats on your win! You totally deserve it, your living room is gorgeous!! That is a great idea!! 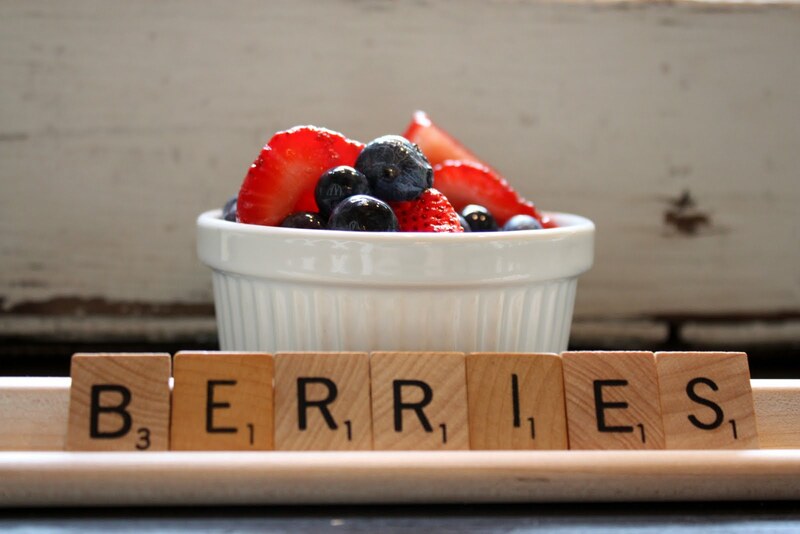 You could use scrabble pieces to spell out anything all throughout the yr! AWESOME!! Your scrabble signs add such a nice simple touch and congrats on winning that contest. You so deserve it. Your home is beautiful and you are so super creative. I just checked out your cottage of the month story and it was fantastic. I love all your fourth of July touches. Have a great holiday. Congrats Melaine!! Glad to see your talents recognized and appreciated. Your home is truly beautiful inside and out...much like it's owners. Love the Scrabble tiles! Very cute!! 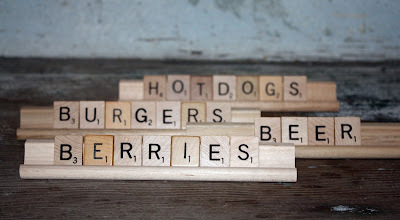 I already saw your Liberty scrabble word on The Old Painted Cottage and went to work creating cute words for the 4th of July around my house. Thanks for the great idea!!! love the scrabble pieces. such a cute idea. your house looks adorable decorated for the 4th. would love if you would follow my new blog, the hillside home!!! Congrats on the room win! I love the scrabble letters signs, are they glued down or just loose on the stand? I love your rooms ! Have a wonderful weekend and BBQ with friends. Congratulations!! You deserve the win!! And your markers are darling! Yay! So glad you won! You deserve it. You, your blog and your home are such a wonderful inspiration to me. Congrats to you Melaine on winning!! 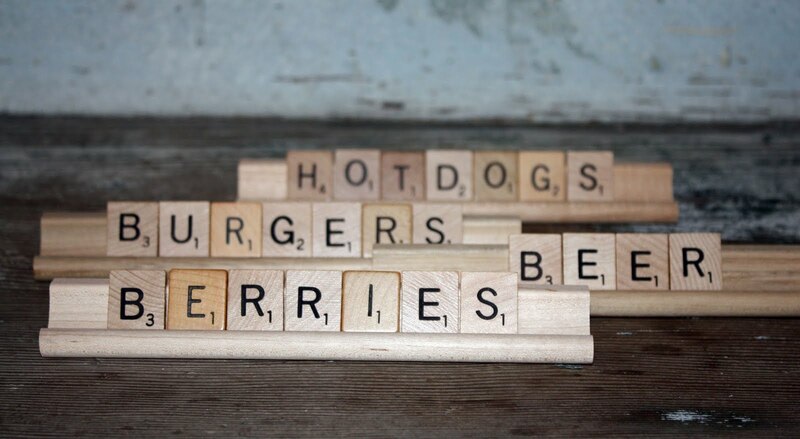 Loving the scrabble tiles ~ especially "Liberty". Happy 4th to you and your entire family! You have a very inspirational blog - I absolutely LOVE your style! Thanks for sharing & congrats on your success!